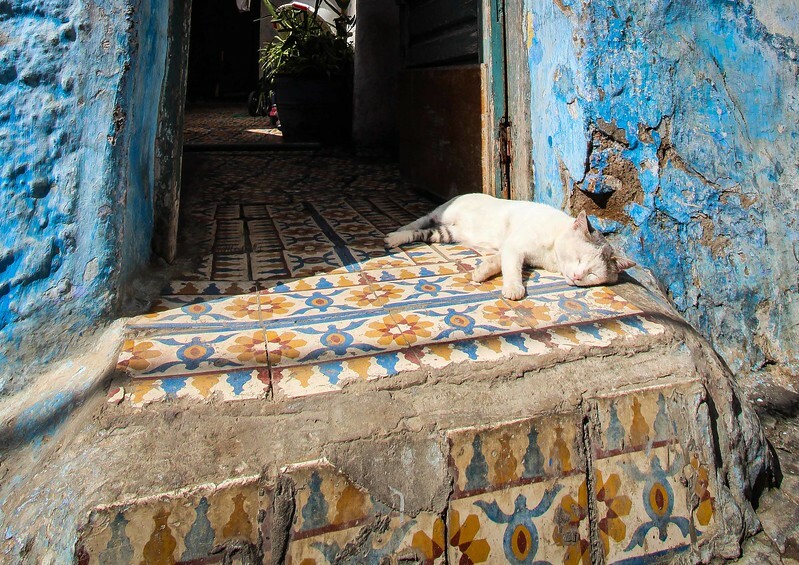 One may wonder why the Moroccan capital city Rabat has not been renamed “re-cat”. Occupation of every sunny spot available is stacked out by a furry feline carpet. Cats seem to rule this ancient city. On each corner, a simple human can be held hostage to stopping and investing in a simple stroke across a cat’s head in appreciation for their laid back attitude and general appreciation of the good life.